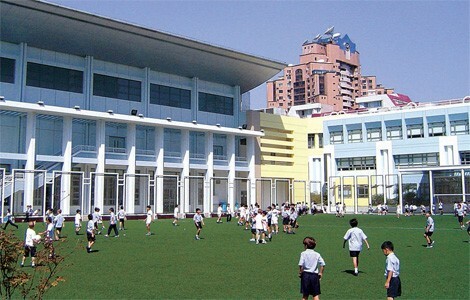 Yew Chung International School of Shanghai is a co-educational international school in Shanghai. The schools' campuses are situated in Pudong and Puxi. It is operated by the Yew Chung Education Foundation. 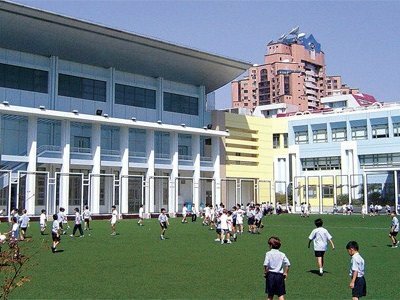 As the first international school officially recognised by and registered with the Chinese government in 1993, YCIS Shanghai is considered a leading international school in Shanghai. The school's unique multicultural and bilingual approach to education is recognised globally, and is just one of the features that sets the school apart from others. With four campuses in prime locations in the Puxi and Pudong areas, the school accommodates the entire age range of Early Childhood Education (ECE), Primary, and Secondary students from the expatriate community. Expat students come from over 50 countries and regions, and are educated by teachers from more than 20 countries under an international curriculum that creates truly global-minded graduates. YCIS Shanghai is a fully accredited school, recognised by the New England Association of Schools and Colleges (NEASC), the Council of International Schools (CIS), and the National Center for School Curriculum and Textbook Development (NCCT). In addition, the Secondary programme is authorised as an accredited Cambridge International Examinations Centre and International Baccalaureate World School (IB World School). As an IB World School, we are proud to offer the IB Diploma Programme as part of our international curriculum. I met some of the most interesting and bizarre fellow teachers of my life here and still keep in touch with the closer friends I made here. Expats to China in general tend to be an interesting sort as they tend to be quite adventurous, social and want to explore what Shanghai has to offer. I was sent on IB training in Greece for a week and IGCSE training in Kuwait and gained valuable experience teaching these curriculums which I had never taught before. You could go down to Human Resources and ask about the overall pay scale if you so chose, however the money we made was excellent so I never bothered. The apartment they set us up with was beautiful and quite big. Many of the teachers lived in the same area which made meeting up easy. The management was pretty trusting of it's staff and left them to their own devices for the most part. The area was pretty and the subway system is extremely convenient and inexpensive. The pay was very good at the time although I'm not sure how good it is now since inflation in Shanghai is a lot more than before. I loved my time at this school and in China! I honestly haven’t had as nice an experience in a school or area ever since. Leadership was lacking and constantly changing among the higher positions. The 'welcome back' orientation that all teachers had to do every year over several days was mostly a complete waste of time, and only something you'd need to do the first year instead of every year. I believe it was a great experience, especially for staff that had less experience and a lot to gain. Good location in expat district. Not too far from centre of shanghai. Good standard of living afforded from Salary and for single teacher, can save a fair bit of cash during your time here. As a teacher, you are left alone to teach the syllabus how you wish. Not too many people interfering with how you do your job. Facilities are not bad. Owners (rich HK owners) will sporadically inject cash into the school and boost the resources. Teachers from all parts of the globe. Australia, NZ, UK, US, Canada etc.. but there are down sides to that also. Clashes between teachers due to cultural differences are quite common and can be both frustrating if you're involved, but amusing if you're not! Students are well behaved, although a large proportion of them are Korean and are only "doing time" in an international school so they can get easy credits for Uni back home. Their real studies take place after school in cram school academies. Therefore many of them lack motivation and will fall asleep in class. Integration between the western staff and local staff is deliberately suppressed. The school must please local communist leaders and this involved keeping chinese staff separate from decadent western staff. But in practise you can still make good friends with them anyway...that's just a bit weird. As with most Chinese businesses, the business ethics are very questionable. They claim to be non-profit and christian, but don't be fooled. Owned by a super-rich HK millionaire, it's all about the money and expansion of the business, with very little care for teacher welfare. There is no published payscale, and they will try to get away with paying you as little as possible, so don't take any nonsense from the HR department. They are a very slippery team. Management is poor as there seem to be so many secrets and strange decisions, based on keeping influential people happy. In my opinion, it's only the hard work and conscientious teachers that hold the place together. But I would say that as I was one of them! !